API testing, be it REST, SOAP, JSON, XML or GraphQL, can be tricky – both from perspectives of the testing code itself and from maintaining it up to date as it evolves over time. However, by using Karate Framework you can overcome these struggles! Karate Framework helps get rid of the boilerplate code which is involved in performing the requests and asserting the response contents. In addition, it provides a descriptive language based on Cucumber that allows tests to be easily written and understood even by non-programmers. In order to demonstrate a bit of the framework, we need first an accessible API. Let’s use a playground project from Best Buy. The setup is fairly easy to have it up and running in a few minutes. After the playground API is running, it is time to get started with the API testing. 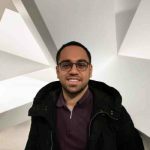 Let’s use a Maven archetype to boost the project quickly. Our development environment will be Intellij Idea CE with Cucumber Plugin, Java 8 and Maven 3. At this point, you have the project structure ready to start writing the tests. The archetype comes with some testing samples, but we will write our own. Let’s create one package folder and name it features under src/test/java. This is where all the feature files will reside. This class is needed so the Maven test phase picks up the test files and runs all the tests recursively on the sub-folders. Now we can proceed and create our first feature file. Let’s create a file called products.feature under src/test/java/features/products. This is a very basic test: it just verifies that after we perform a GET on the /products endpoint, we should receive an HTTP code 200 that implies a successful call. After we are finished we can call mvn test and see the test output. The feature file will be executed, with all the scenarios and steps on it. Now we are navigating to a specific product and verifying it contains the minimum information to be displayed in the website. We need to check whether it has price, description and image. Let’s run the mvn test again. That’s it, we are now able to navigate to the categories array and evaluate its content without writing complicated matchers or delicate string manipulations. This tutorial highlights some of the core features of Karate Framework that will allow you to create a bullet-proof API Testing with very little setup, a learning curve and deliver robust and easy-to-maintain tests. For a more comprehensive feature list, please check Karate project in Github. The code found on this sample project can be found at my Github. Great Tool and very well explained. 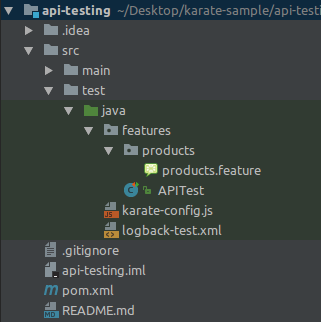 I am trying to configure the project using Karate API in my eclipse JAVA EE for Developer and IntelliJ Community edition. But there in feature file steps are looking for glue code. Could you please help me resolve the issue. Personally, I use Visual Studio Code with a couple of plugins to aid development, such as this one: https://marketplace.visualstudio.com/items?itemName=alexkrechik.cucumberautocomplete. I think it is lighter in terms of configuration than Eclipse and IDEA for this use case. I want help for validating API response using karate framework. I have API’s which are “independent” on each other. I have POST method along with request parameters. when I hit that particular API got the response with different parameters (no single match from request parameter and response parameter). Now I want to validate response parameter value. how to do it. I tried using reponse.contains but it always “Pass” the result. I think the best way would be to use: https://github.com/intuit/karate#referring-to-self. If that doesn’t solve the problem, I am not sure I followed it correctly.